HE Magic Duo offers two variants 'Angels and Demons' and 'Yin and Yang' both of which come in a cool masculine matte styled finished pack of 50 ml*2 = 100 ml inside a premium looking carton with a transparent window. The unique applicator at the top of the can is positioned side by side and can spray two different fragrances separately or together. The deodorant category in India is a highly saturated and cluttered market. With the presence of multiple players, it is becoming increasingly difficult to break through this clutter and stand out. HE as a brand has a strong legacy of differentiation from the very beginning. This time, we found through our consumer research that there is an increasing dual usage trend wherein 1 in 5 users currently use 2 or more Deos on a regular basis just from the need of variety and the urge of not smelling the same every time. 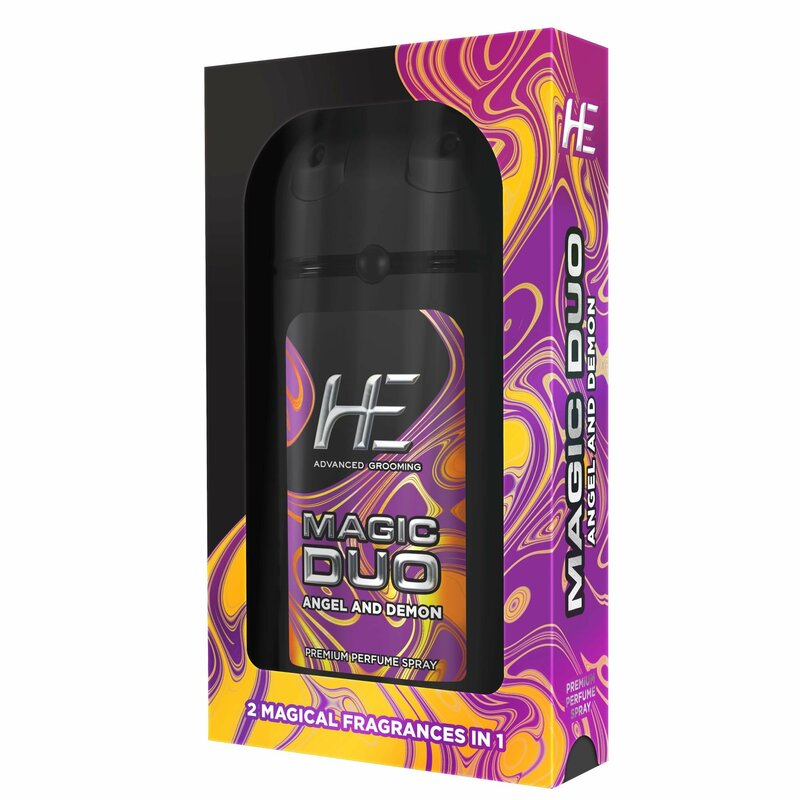 Triggered by this consumer need, we have brought in a category disrupting solution through HE Magic Duo where we are offering two fragrances at the price of one. We believe that HE Magic Duo with its breakthrough packaging is going to create a stir in the consumer mind space.